Join us this October for our annual Galapagos Day at the Royal Geographical Society (with IBG). This year’s event will take you to the underwater world of the Galapagos Marine Reserve to discover the mysterious and enigmatic wonders of the ocean. From giant whale sharks to endemic marine iguanas, we will be celebrating the incredible diversity of the Galapagos Islands, and would love for you to join us. With talks from TV presenter, explorer and marine biologist, Monty Halls, and BAFTA award-winning BBC filmmaker, James Brickell; you will have the opportunity to relive their wildlife adventures, and then put your questions to the experts themselves. Throughout the evening, you can learn more about our latest conservation projects and appeals, as well as our award-winning education programme, Discovering Galapagos. There will also be the chance to find out about the latest global marine issues, such as water pollution and marine plastics. From Galapagos-themed art to an exhibit of artefacts from Darwin’s HMS Beagle voyage, we have got it all covered. To round off the evening, we will be giving away a fantastic selection of prizes in our Galapagos Day raffle. Whether you are reviving past Galapagos memories or planning a future trip, Galapagos day is the perfect evening to celebrate the wonders of the Archipelago with like-minded people. Additional drinks and snacks will be available at the bar. It is recommended that guests eat before the event. Proceeds from ticket sales will be contributing to the Galapagos Future Fund, supporting projects to secure a sustainable future for the Galapagos Marine Reserve. The Galapagos Conservation Trust supports vital conservation efforts to ensure the sustainable future of Galapagos marine biodiversity. From cutting edge research on the biggest fish in the sea to supporting the formation of management plans and tackling marine plastic pollution there is a lot of work to do and we need your support. 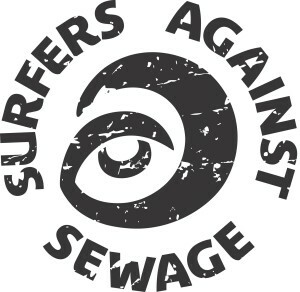 #AutumnBeachCleanSeries events taking place nationwide on 17th, 18th & 19th October. Interested in volunteering abroad on a Conservation Project? Projects Abroad Information Evenings are a great way to get an overview of Projects Abroad programmes and ask questions to our staff and previous volunteers. Click here for more information or to reserve a space. Projects Abroad London Information Evening – Wednesday 16th July 2014, 19.00 – 21.00. At the Clerkenwell Centre, 61 Lever Street, London, EC1V 3AR. Projects Abroad London Information Evening – Tuesday 10th June 2014, 19.00 – 21.00. At the University of London Union, Malet Street, London, WC1E 7HY. 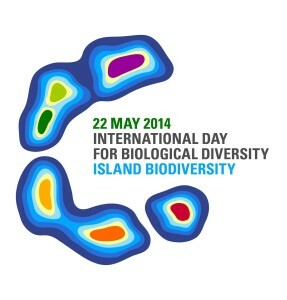 The theme Island Biodiversity was chosen to coincide with the designation by the United Nations General Assembly of 2014 as the International Year of Small Island Developing States. Islands and their surrounding near-shore marine areas constitute unique ecosystems often comprising many plant and animal species that are endemic. The legacy of a unique evolutionary history these ecosystems are irreplaceable treasures. They are also key to the livelihood, economy, well-being and cultural identity of 600 million islanders—one-tenth of the world’s population. WiseOceans will be there, come by and say hello!